Blackjack Plus can be found at the Crown Casino in Melbourne, Australia. Crown Casino is the only casino in Victoria, Australia that operates 24 hours a day except on certain holidays. 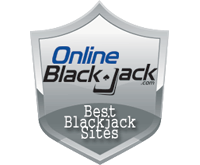 Blackjack Plus is dealt with six standard blackjack decks. The game is dealt European style. This means that the dealer does not deal their hole card until after the players have acted. If a player doubles down or splits, and the dealer ends up with a natural blackjack, the players lose all of their additional wagers in addition to their original bet. The dealer stands on all 17’s. The dealer offers insurance when showing an ace. Insurance pays 2-1. Players may double down on any two or three card hand. Players may split up to a total of three hands except with aces. Split aces receive only one card on each ace and cannot be resplit. Double down after splitting is allowed. Surrender is not allowed at any time. If a player receives a natural blackjack, the players are paid immediately. Natural blackjacks never push. Blackjack pays 3-2. If a player hits a total of five cards without busting they automatically win. This is known as a Five Card Charlie. The player wins even if the dealer receives a blackjack after dealing their second card. There is one rule that removes the player advantage from the other generous rules. If the dealer makes a total of 22, the dealer pushes all players that still have cards. Players with a natural blackjack or a Five Card Charlie are already paid on their winning bets before the dealer draws. Players that busted will lose even if the dealer makes a total of 22. The dealer pushing on 22 against non-blackjack and Five Card Charlie hands gives the house an advantage of 5.5%. The house advantage for the entire game is 4.75%. 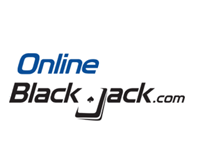 That makes Blackjack Plus one of the worst blackjack games in brick and mortar history. A typical 6-5 blackjack game has a house advantage of around 1.25%, making Blackjack Plus three times worse than a dreaded 6-5 blackjack game. Many lower limit blackjack games at Crown Casino are of the 6-5 variety. It is much better to play those low limit games than this new blackjack variation. It is even better if you have the bankroll to move up to limits where a standard 3-2 blackjack game is offered at Crown Casino.